In collaboration with Park Shin Hye Official Korean Fanclub, for Shin Hye's 29th birthday, we are fundraising to donate money for a second Park Shin Hye Center in Manila, Philippines. As an ambassador for Korean Food For the Hungry International (KFHI), Shin Hye has used her fame to do good. Since becoming an ambassador for the non-profit organization, she has had two centers open for the less fortunate children. Her first center is in Ghana with her second in the Philippines. This year, KFHI and Park Shin Hye plan to open a second center in the Philippines. Until her birthday, PSHIFC will be fundraising for the center. As fans of Shin Hye, we would like to ask all her fans for support. We will give out these prizes to random donors. -One grand prize to one donor. 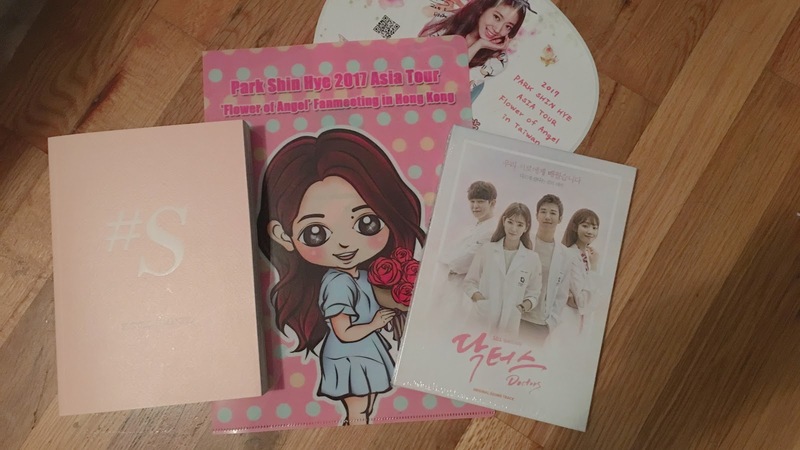 This grand prize include: the latest #S photobook, Doctors OST, a fan from her Taiwan FM, and a folder from her HK FM. Click the "Donate" button below to donate via PayPal. If you don't have Paypal, please send an email to shinhyeorg@gmail.com and we can see what other options are available. As always, thank you so much for all your generosity!